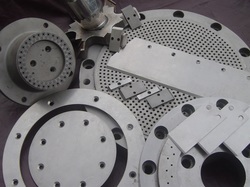 ISO 9001 manufacturing process guarantees you the highest quality. 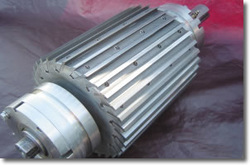 We carry a large inventory of underwater/ water ring pelletizing blades. 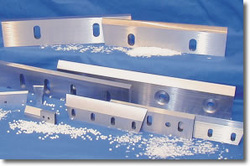 All blades are manufactured to OEM tolerances and shipped factory direct. With too many blades to list a full complement of shredders, granulator rotors/ bed knives and screens.